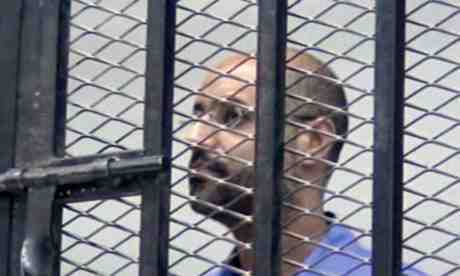 There have been numerous twists and turns in the cases of Saif al-Islam Gaddafi and Abdullah al-Senussi. Senussi was allegedly bought for $200 million from Mauritania and held there for months before being surrendered to Libya in September 2012. Saif’s defence counsel were detained for almost a month in Zintan after meeting him in June 2012. Senussi’s case has been declared inadmissible at the ICC, meaning he’ll be tried in Libya by Libyan. In Saif’s case, judges rejected Libya’s admissibility challenge because he remains in the detention of a Zintan-based militia and not the central government. Now, the Presiding Judge in the cases has resigned. It is not clear what prompted the resignation but it could have significant implications on the Libya cases. It remains to be seen how this will affect Saif’s admissibility ruling which is currently under appeal. It could foreseeably prolong any future judgements. But it could also mean little if there’s nothing left for the Judges to do. If that’s the case, this may signal the end rather than a curious new turn in this ongoing saga. This entry was posted in Admissibility, Libya, Libya and the ICC. Bookmark the permalink. The very brief and dry decision can indeed give room to speculations. A precise lecture shows that judge Anita Ušacka remains in the appeals chamber and will continue to judicate on the specific case. She only has transferred her presiding function, i.e. a specific functional duty within the chamber. And this is merely one of several pending appeals (namely, the *-344 appeal against the admissibly decision), and this transfer only refers to the function in this specific one appeal. The now altered assignation decision was *-363 ( http://www.icc-cpi.int/iccdocs/doc/doc1606402.pdf ) from 19th June 2013. The submission of the judge was therefore not a request for excusal / self-recusal (which would have involved a decison of the plenary of the judges, and which the Court does not easily grant, as the past has shown – David Koller had explained the reasons behind such reticence), but more of an equalization of work-load, thus akin to the Japanese judge Kuniko Ozaki handing over her presiding function in one of the two Kenyan sub-cases to her colleague Chile Eboe-Osuji. Which has already proven to be a very problematic decision. The reply above sort of gets at this, but it should just be noted that the Al-Senussi appeal on the admissibility does not have Judge Usacka assigned to it, but rather Judge Kuenyehia is presiding over the Al-Senussi appeal. Judge Usacka is, in the document you link to, stepping down from presiding judge in the Gaddafi decision.